"Cannot go wrong with Stone Canyon..."
I like the 2nd one bottom row. I like brecciated pieces. Yours are especially nice. Thanks! 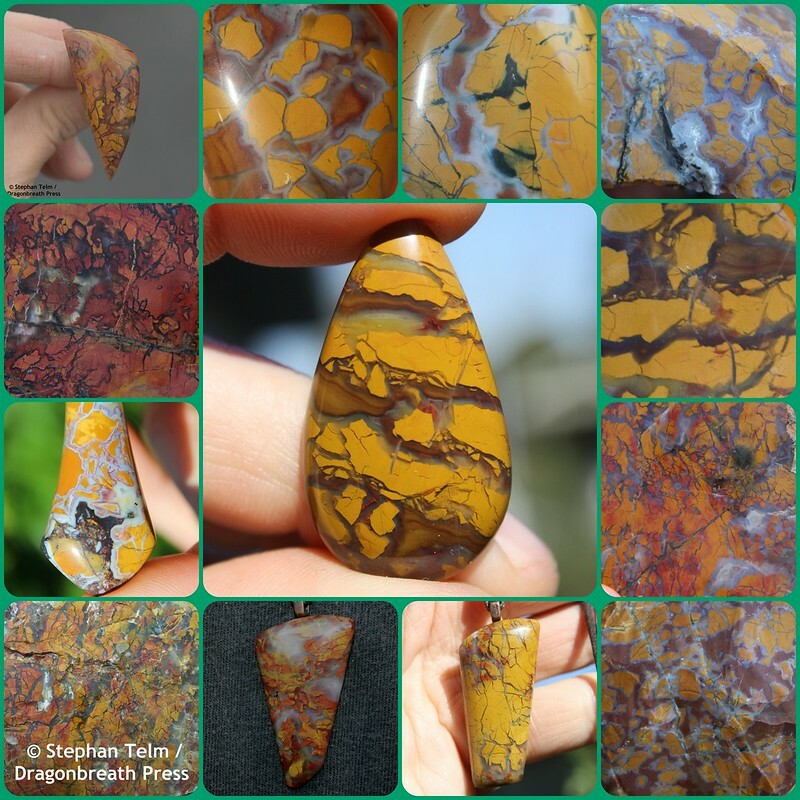 Beautiful collage of Stone Canyon jasper. It's been one of my favorites for years. I still have a cab of it that I cut when I was 12. It is one of the easiest jaspers to make great cabs with. Great jaspers.... Nice cuts... Got some from Cali, laying around here somewhere..